BABY, dit Dupéront (Dupéron, Duperron), JACQUES, fur-trader and Indian department employee; baptized 4 Jan. 1731 at Montreal (Que. ); m. c. 23 Nov. 1760 at Detroit (Mich.) to Susanne Réaume (Rhéaume), dit La Croix; 11 of their 22 children survived to adulthood; d. c. 2 Aug. 1789 at Detroit. Jacques Baby de Ranville, grandfather of Jacques Baby, dit Dupéront, was a scion of the decayed nobility of southern France and a sergeant in the Régiment de Carignan-Salières who married in Canada and settled as a rural merchant and farmer. Ranville’s son Raymond first went west with the fur brigades at age 15. In 1721 Raymond married Thérèse Le Comte Dupré, daughter of a Montreal family deeply involved in the fur trade although of seigneurial rank. 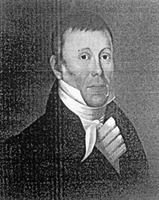 Their son Dupéront therefore shared that heritage so significant in early Canadian history of vague pretensions to nobility coupled with dynamic participation in the fur trade and residency in Montreal. 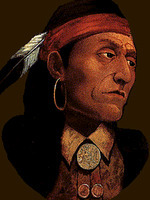 When Dupéront first went west is unknown, but by 1753 he was a trader and Indian agent at Chiningué (Logstown, now Ambridge, Pa). In the Seven Years’ War he, his elder brother Louis, and his youngest brother Antoine were all trading in the west and saw military service in the Ohio valley alongside France’s Indian allies. 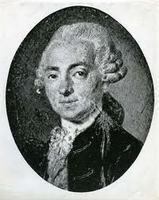 A fourth brother, François*, handled the Montreal end of Antoine’s and Dupéront’s business on a partnership basis that would last until the death of Antoine in 1765. 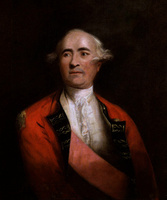 After the fall of Canada in 1760 Dupéront refused to swear allegiance to George III; and being, in Colonel Henry Bouquet’s words, “of a family noted for their influence among the Indians,” he was prevented from touring the western posts to collect his debts before returning to Montreal. His posture as a French patriot led to his arrest and temporary incarceration at Detroit on a groundless charge of plotting with Indians against the British occupying forces. Dupéront’s intention was to leave Canada for France, there to join François, who had been sent to England as a prisoner of war. But upon arrival at Montreal in the autumn of 1761 Dupéront learned that François was moving their commercial relations from La Rochelle and Bordeaux to London, their French correspondents transferring cash balances and providing necessary letters of introduction. Dupéront also found that he was able to sell his furs advantageously at Montreal and that market prospects were good. He and his wife therefore returned to Detroit, the base of his operations, probably in the autumn of 1762. Dupéront lost considerably by the discredit of Canada’s paper money after the conquest. The difficult business climate of the decades that followed is mirrored in his letters to François. He notes the swelling of the ranks of traders after 1765 (rightly predicting “the confusion will be dispelled by the ruin of the greatest number”), a change in market demand from beaver to luxury furs, the increasing competition of traders from Albany and New York who, he wrote, “sell here at almost as low a price as we buy at Quebec,” and the deterioration of the trade, especially after the American revolution. The year 1772 was the first in which he received fewer furs than he had anticipated. But Dupéront survived and prospered. Indeed, his 1785 outfit was the largest of his career, £5,000. He was undoubtedly a vigorous trader, admired by the Indians, demanding with regard to the quality of his merchandise, insistent on the early arrival of outfits each year, and having the competitive advantage of residency. From an early date he diversified his economic base by the development of lands. He had received several grants of land from Indian tribes in addition to his purchases. By 1789 he had 1,440 acres of developed land with two water-driven mills on the American side of the Detroit River and 720 acres on the British side. He also had an immense timber reserve northwest of Lake St Clair, given him by the Ojibwas. The value of his estate at his death cannot be determined with certainty; his will forbade his children to bother their mother with demands for an inventory. When she did authorize an inventory in 1800, the estate totalled about £24,570, most of it invested with Alexander Ellice* of London. That this money had formerly been invested in New York, either by Dupéront or his heirs, suggests the possibility that he may have developed trade relations with that city in his later years. 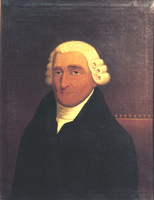 It was his son James* (Jacques) who withdrew these American investments in 1793 and transferred the proceeds to London. ANQ-M, État civil, Catholiques, Notre-Dame de Montréal, 4 janv. 1731. ANQ-Q, Greffe de J.-B. Planté, 8, 12 nov. 1800; 20 déc. 1800 (nos.2536–41). ASQ, Fonds H.-R. Casgrain, Sér. O, 0423, 0475, 0476. AUM, P 58. BL, Add. mss 21638, pp.250, 253, 260, 268, 312; 21653, p.73; 21759, p.93 (transcripts at PAC). PAC, MG 18, I5, 1, pp.274, 887, 1052; 2, pp.8, 44, 362; 5/1, p.7; 5/2, pp.8, 350, 352; 6, p.124; MG 23, GIII, 7, John Richardson letters, Richardson to Porteous, 23 Sept. 1789; RG 4, B28, 115. PAO, Baby papers, commissions, 1777, 1784, 1787; livre de comptes, 1788–91; Potawatomie land grant. PRO, CO 42/37, p.46 (transcript at PAC). Quebec Gazette, 2 April, 29 Aug., 10 Sept. 1789. Lefebvre, “Engagements pour l’Ouest,” ANQ Rapport, 1946–47. Massicotte, “Répertoire des engagements pour l’Ouest,” ANQ Rapport, 1931–32, 1932–33. [P.-]P.-B. Casgrain, Mémorial des familles Casgrain, Baby et Perrault du Canada (Québec, 1898–99). 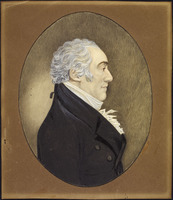 [François Daniel], Nos gloires nationales; ou, histoire des principales familles du Canada . . . (2v., Montréal, 1867). D. B. Miquelon, “The Baby family in the trade of Canada, 1750–1820” (unpublished ma thesis, Carleton University, Ottawa, ). Peckham, Pontiac. 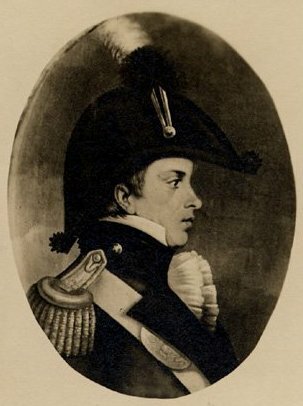 P. J. Robinson, Toronto during the French régime . . . (Toronto and Chicago, 1933). P.-G. Roy, La famille Le Compte Dupré (Lévis, Qué., 1941). Dale Miquelon, “BABY, Dupéront, JACQUES,” in Dictionary of Canadian Biography, vol. 4, University of Toronto/Université Laval, 2003–, accessed April 24, 2019, http://www.biographi.ca/en/bio/baby_jacques_4E.html.